Regal Whole Black Peppercorn - 8 oz. What is the benefit of using a dedicated salt mill versus putting salt in a pepper mill? Since salt is a corrosive mineral, using salt in a pepper mill may lead to corrosion of the internal grinding mechanism. Salt mills are specifically designed with ceramic or nylon mechanisms to avoid corrosion. 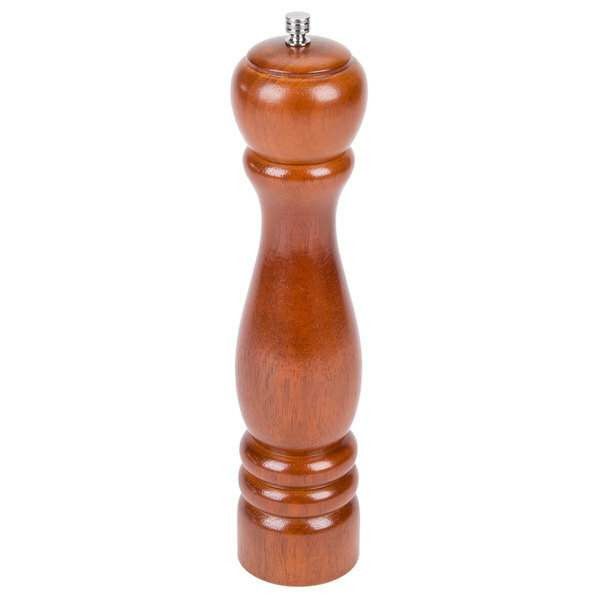 Add a flavorful touch to your restaurant, bar, hotel, or catered event with this beautiful, French-style 10" pepper mill. 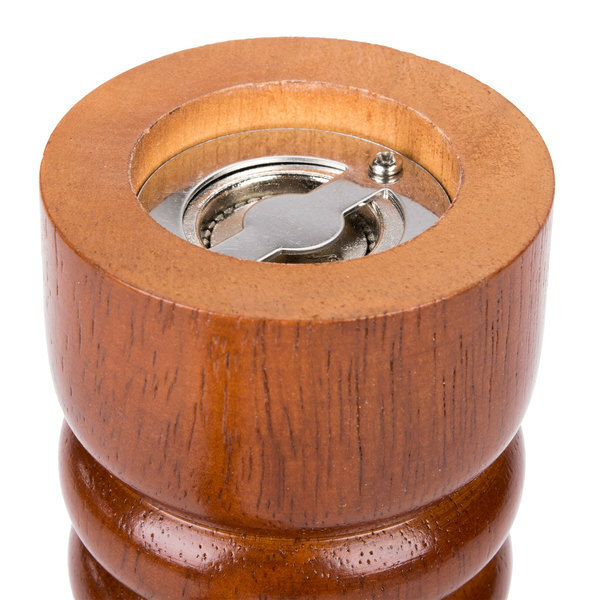 With a timeless wood finish, this pepper mill will blend perfectly with any decor. Its carbon steel grinder makes it ideal for everyday use. 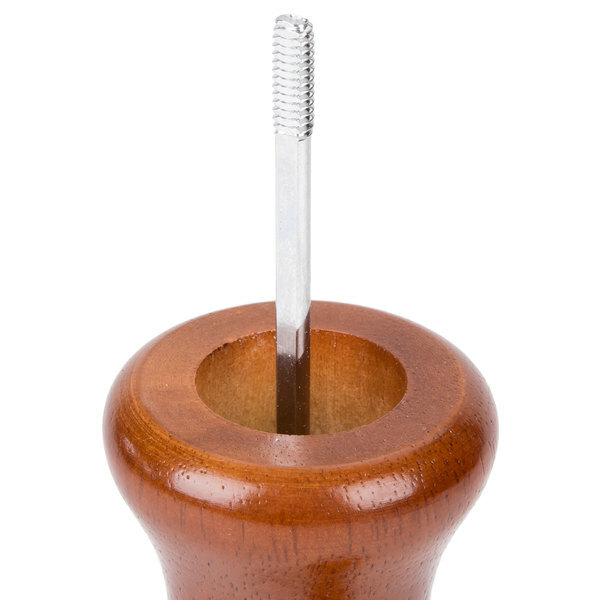 Treat your guests to the luxury of freshly ground pepper without sacrificing your budget. This economical pepper mill provides a quality solution at an affordable price. Measures 10" tall. 9" Stainless Steel Wine / Champagne Bucket - 8 Qt. A little flimsy when it first comes in. However once you get it apart and fill it up, you need to tighten the unit as much as you can, or else pepper will be leaking for days! 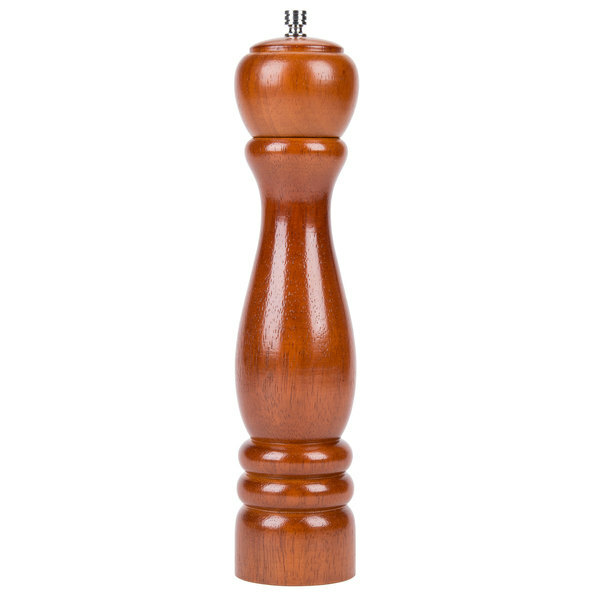 This 10 inch Wooden Pepper Mill is ok. It just basic and it works ok. I would look for another pepper mill if you will be using it often. 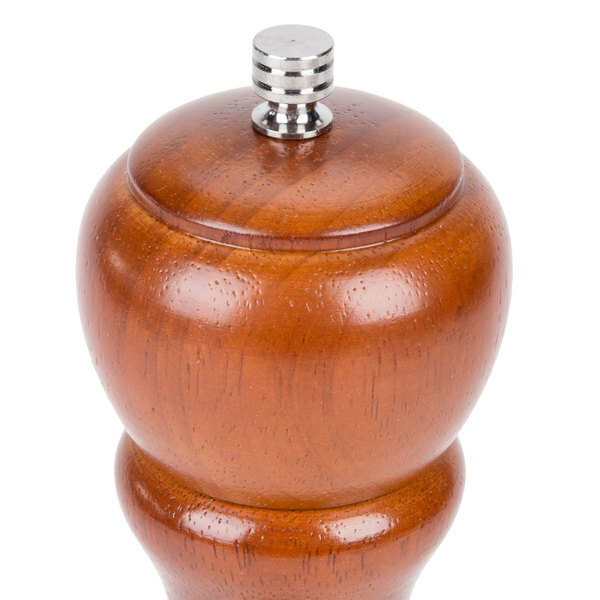 The wood and feel of the pepper mill feels fine and the grind is relatively good. My one issue is that the cap is very prone to screwing off with even a little bit of use. This pepper mill looks just like it does here. It is very elegant. The screw does come loose at times but It grinds pepper very fine when I need it. Well designed pepper mill and 1/3 of the price of other models I’ve viewed. My only concern is that while coarsely grinding, the top screw needs to be monitored as it sometimes comes unscrewed. I have not noticed this problem with fine milling. I bought this pepper mill to replace one that broke, and it has been an excellent purchase. This is mill is elegant and fits nicely in my hand. it is easy to fill and the grind is adjustable. It is an excellent pepper mill and great quality. Great pepper miller at a good price while looking amazing at the same time. This item would add class to any table to replace with regular pepper shakers. Nice little grinder. I wish it had slightly more adjustment but it works for my purposes and its a lot better looking that. Plastic grinders. Its a nice mill, however the screw on the top refuses to stay tight. So if you plan on milling your pepper very fine, i'd look elsewhere. 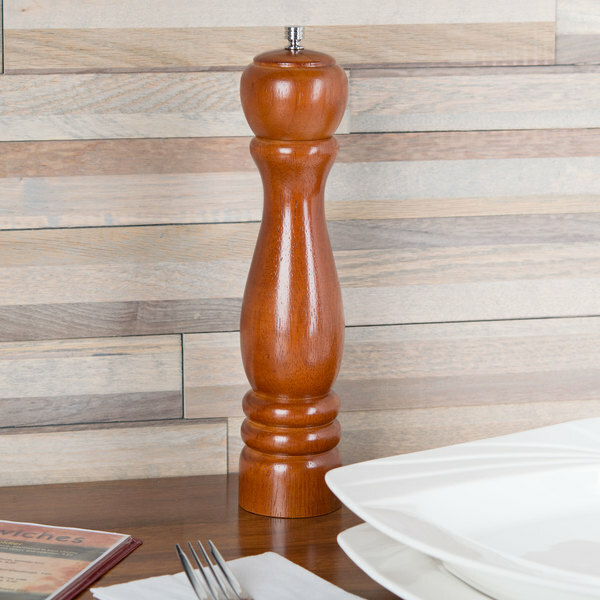 These pepper mills are on every table in our restaurant. They look nice and they allow our servers to quickly offer cracked pepper to our guests. Easy to fill and clean. The pepper mill I owned previously was was pretty terrible leaving large grinds of pepper, so I was thrilled with this pepper mill. It works like a charm, the ground pepper is uniform in size, and the mechanism is simple, so I don't have to worry that it might break. 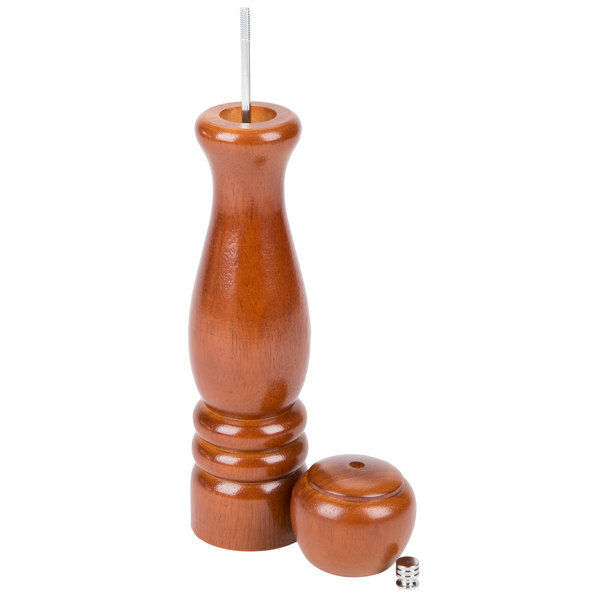 This is the perfect pepper mill! Great for black or white peppercorns! Nice size and great dark finish! Excellent, cant be beat price! Good for finishing pasta!! I'm a culinary student at the CIA and when my Chef instructor told me that I should invest in a pepper mill, I knew where to go! I used this for the first time on my final exam and really loved the fact that I could change the grind setting from coarse to fine with a twist of the top! Overall, my favorite product I've bought!